For most, a life in Yemen is a life laden with challenges. 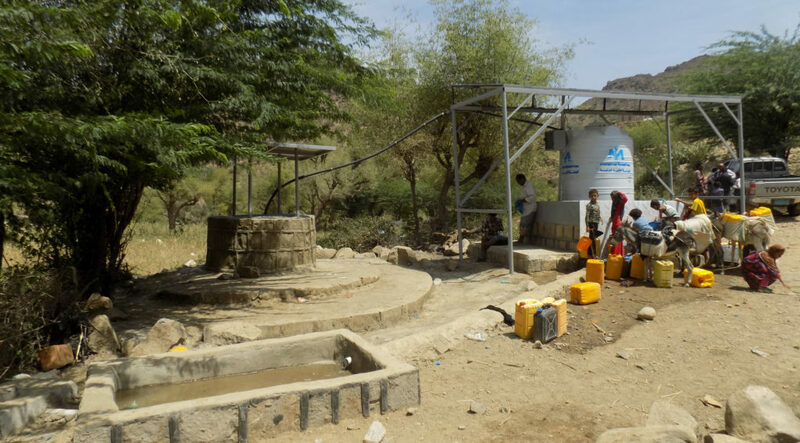 One of the greatest and potentially lethal challenges that face many is the lack of clean water: more than 14 million Yemenis can’t access clean water—and before International Medical Corps intervened, the inhabitants of the remote village of Al-Saeeda were among them. The village’s one well, a potential source of life and hope, had instead become the source of nightmares for the children of the village: years of neglect created exposed edges had resulted in repeated incidents of women and children falling into the well. Some of them never came back. What should have been a symbol of relief from a challenging and often dangerous life had become instead another obstacle to overcome for villagers. Not only was getting the water from the well physically dangerous, but the water itself was often dangerous due to contamination. A change was needed—and International Medical Corps, which has had a strong presence in Yemen since 2012, stepped in to make it happen. 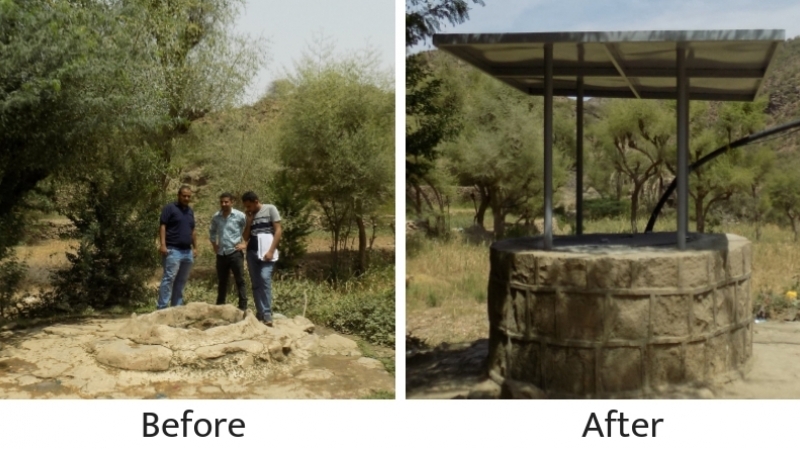 Our team protected and covered the well, and installed a solar-powered pump. Now, instead of encountering danger at the well, villagers are welcomed by a custom-built, safe water point that includes a water tank and faucets alongside a drinking basin for livestock. Our intervention, funded by USAID, eliminates the hazardous rope-and-bucket method used previously to fetch underground water (which sometimes led to falls) and reduces the risk of waterborne disease from an uncovered well. The International Medical Corps team provided training to a committee of local leaders who now have the tools to maintain the well and provide clean water, using chlorine tablets provided, and the knowledge to ensure that the well stays in good condition for generations to come.